Institute designed over 60% of power generating units which were put into operation at Ukraine’s thermal power plants, including original units with individual power output of 100, 150, 200, 300, and 800 MW (at the Myronovskaya, Pridneprovskaya, Zmievskaya, and Slavyanskaya TPPs, respectively). 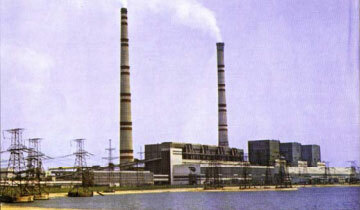 The institute also designed thermal power plants which were built in the Russian Federation, Azerbaijan, Armenia, Kazakhstan, Hungary, and Yugoslavia. 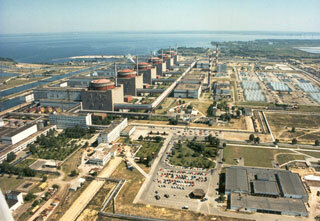 Under institute’s designs, NPPs with VVER-1000 and RBMK-1000 reactors were built and put into operation. Their total power output is 22 million KW. The institute is a chief designer of the South-Ukrainian and Zaporizhzhya NPPs. It took part in designing the Rivne NPP (Ukraine); Balakovo, Rostov, Kursk, and Smolensk NPPs (Russia); and NPP Kozlodui (Bulgaria). Along with the construction of power plats, residential settlements were built nearby. Many of them were later transformed into towns, such as Noviy Svet, Komsomolskiy, Schastye, Pridneprovsk (which became a district in the City of Dnepropetrovsk), Zelenodolsk, Svetlodarskoye, and others. 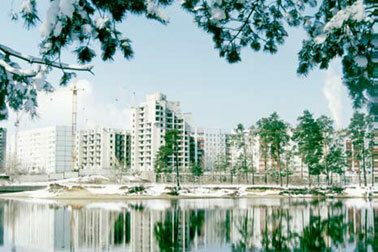 Among them, a special place belongs to Energodar, a dynamically growing town on the shore of the Kakhov Reservoir ("Kakhov Sea").